The Joint Committee was formed in mid-2011 for the purpose of evaluating alternatives for saving the golf course as a community asset. Currently committee members are gathering information related to parks and recreation districts. An interview questionnaire was developed and several individuals in Oregon parks and recs environments have been interviewed, as have state, county and city officials. It is expected that information about this alternative, and others, will be presented to the Joint Committee and to both the CGC board and the CCC board before the end of May. The formation of a parks and recreation district must be done according to provisions of Oregon Revised Statutes and entails the formation of a separate govermental body, with an elected board, to manage the affairs of the district. The board then has the ability to tax up to a defined limit in order to provide for the assets which are owned by the district. Some believe this process could be a lengthy process while others believe it can be formed relatively quickly. Significant energy is being put into the research in order that community education can begin if the alternative looks realistic, or dismissed in favor of other alternatives if it does not. 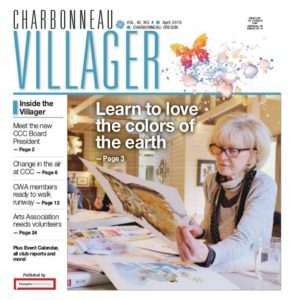 Additional information regarding the Joint Committee’s work can be seen in recent issues of The Charbonneau Villager.